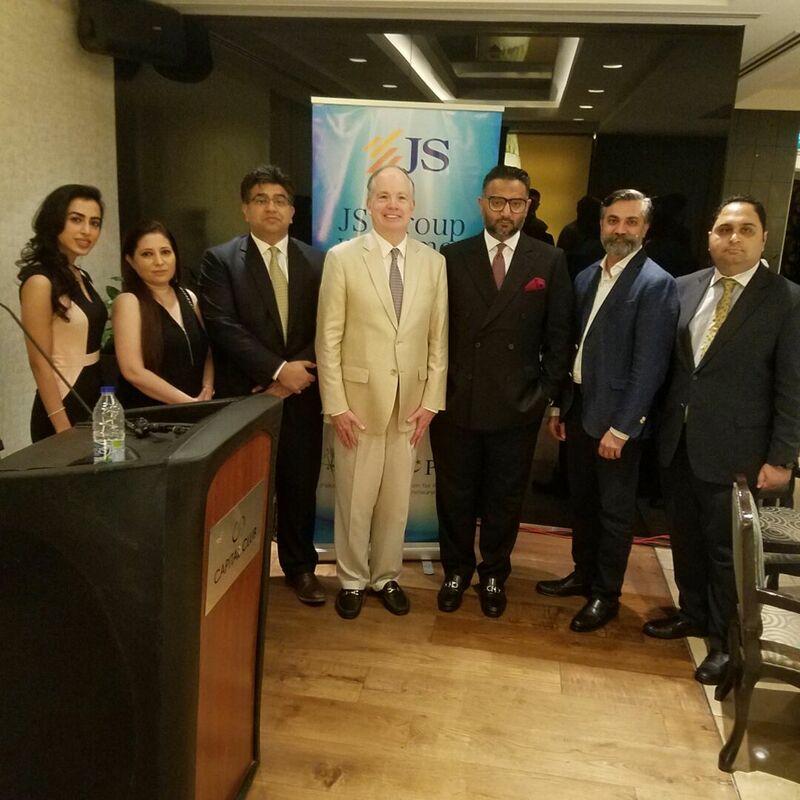 Dubai: JS Group and People Organisation hosted an event in honor of Mr. John Groarke – Mission Director USAID Pakistan at the Capital club situated in Dubai International Financial center in Dubai on Thursday the 27th of October, 2016. Mr. Groarke delivered a key note speech focusing on ‘Diaspora Engagement for Impact Investment in Pakistan.’ He mentioned that USAID considers building partnerships with the Diaspora community as integral to its partnership efforts for advancing development in Pakistan in a more effective, efficient, and sustainable manner. “We are exploring multiple ways of engaging the private sector, through encouraging corporate social responsibility, strategic business initiatives and advocacy”, Mission Director further reiterated that he was greatly pleased to have discussed some of the ways in which companies and individuals can engage with USAID in improving the landscape of Pakistan.” Mr. Groarke also thanked JS GROUP for organising such a marvelous event along with members of the Pakistani Diaspora community in UAE. The diaspora also appreciated efforts taken by JS GROUP in bringing USAID and Pakistani Diaspora at one platform. Mr. Groarke as Pakistan Mission Director leads the Agency’s second largest overseas mission, with an assistance portfolio valued at over US$5 billion. Prior to this Mr. Groarke served as mission director for several US AID missions such as Haiti, Morocco and has led programs in the Middle East, Afghanistan, Egypt, Iraq, West Africa and south Asia. Mr. Ali Raza Siddiqui, Vice Chairman JS Group during his talk highlighted the significance of diaspora engagement for impact investment in Pakistan. Mr.Siddiqui is also currently serving as director of Bank Islami Pakistan Limited, PIBT and Mahvash & Jahangir Siddiqui Foundation.